Want it by Wednesday 24th April? Order within 3 days, 23 hours, 17 minutes and choose Next Working Day - Kerbside Delivery (Order Must be Placed by 2pm) at checkout. 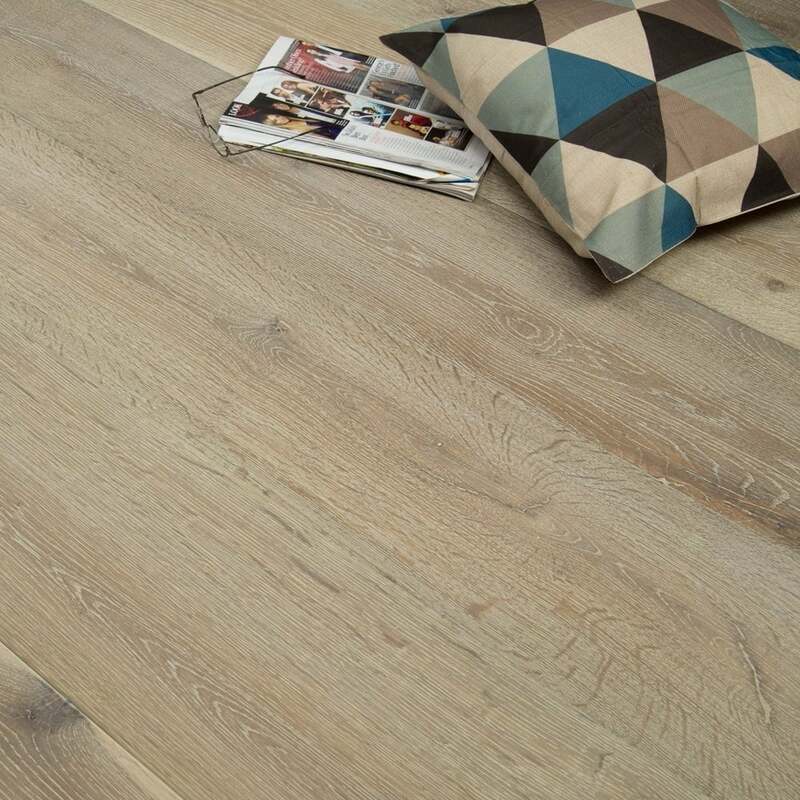 As our widest plank sized range, this Summit 20/6mm x 240mm Oak UV Smoked Brushed and White Oiled is a highly desirable floor. The engineered board has a 3 ply construction which makes it an extremely durable and resilient product. All 4 sides of each plank have a manufactured 'v-groove' edging which defines both the width and random length of each plank across your elegant floor. This accentuates every plank, making the floor far more visually impacting. Being a natural product each board is unique in colour, mineral grain, degree of knots and sapwood. All of these natural features enhance the overall characteristics of such a beautiful oak floor. A floor with the popular brushed finish is when the planks have been brushed with a steel comb to highlight the grain of the wood resulting in an authentic textured appearance. This floor is impregnated with an Oil Wax coating which retains the natural character of the wood while also increasing its durability. This product is treated with a natural oil during the manufacturing process. We highly recommend that once fitted the product is treated with Osmo Polyx-Oil to aid in resistance to water and dirt. It is vital this process is carried out to provide a protective wax and oil barrier and maintain the integrity of the product throughout the home. In particular, areas of high traffic and/or areas where spillages and staining may occur such as the living room, hallway dining room and kitchen should undergo this process as soon as installation occurs and it is recommended the oil is applied every 18-24 months thereafter.